One of my favorite television shows is the big bang theory. If you've ever watched the show, then you know how big of a goof ball and genius Sheldon Cooper is. Through out all of the episodes, Sheldon will talk to others like they are the scum of the earth, while always talking about how smart and intelligent he is. The show is based on a group of geeky smart friends who live across the hallway from Penny, who is their non-nerdy girl friend, who never gets what any of the guys are talking about. Sheldon never has time for girls, as he is always looking forward to the next science experiment and how he can show how smart he is over everyone else. 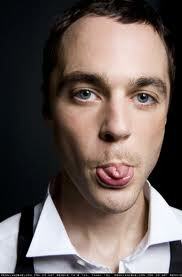 The actor that plays Sheldon Cooper is Jim Parsons, who has won several awards for his amazing work on the show. If you don't have the time to catch the Big Bang Theory at it's regular time on CBS, you can also watch full length videos online or rent and buy the full season discs on blue ray and dvd. Purchasing the complete series will give you the benefits of out takes and extra package bonuses and never before seen footage.